Cover up in style this season with the Barbour Anemoe Quilt. 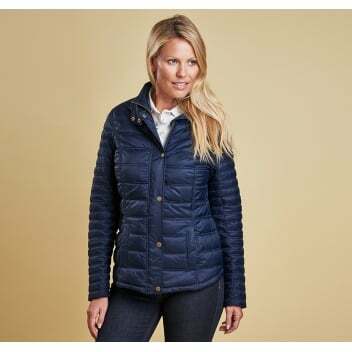 This twin needled baffle quilted jacket is styled with narrow quilting at the waist to help create a flattering and feminine look. Featuring a popper and zip fastening to the front, welt pockets and a studded tab to the collar which will be sure to keep the cold winds out and promises you'll stay toasty warm.